Image credit: John McIver, Auckland Art Gallery Toi o Tāmaki. 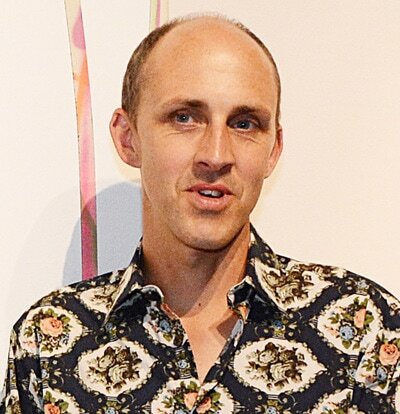 Dr Chris McAuliffe is Professor of Art (Practice-led research) at the School of Art and Design, Australian National University. From 2000–2013 he was Director of the Ian Potter Museum of Art, the University of Melbourne. He taught art history at the University of Melbourne (1988-2000) and was Gough Whitlam and Malcolm Fraser Visiting Professor of Australian Studies at Harvard University (2011–12). Studied at Elam School of Fine Art, NICAI, Auckland University, and graduated with a Bachelor of Fine Arts in 1998. Andrew was the recipient of an Arts Foundation Award for Patronage from Gus & Irene Fisher in 2010. Kirstin Carlin has received much recognition for her work, including being the winner of the 2017 Molly Morpeth Canaday Major Award. Carlin’s work is held in major public and private collections including: the James Wallace Arts Trust Collection. Deborah Crowe is a highly-regarded artist, academic and art professional whose practice, teaching and contribution of over twenty five years to the fields of art, craft and design has involved exhibiting in Aotearoa New Zealand and representation in international conferences and exhibitions. Crowe constructs objects, installations and complex imagery, often challenging her audience to keep up. Her work is held in collections including Te Papa Tongarewa, Glasgow School of Art and the Dowse Art Museum. Deborah Crowe is an ART Venture Creative Entrepreneur Award recipient, Founder of Crowe Creative Art Services and a Trustee on the Board of Objectspace. Deborah Crowe completed her degree and postgraduate study at Glasgow School of Art in 1986, after which she relocated to Aotearoa New Zealand. Scott Eady is a maker of objects that interrogate and confound the nature and value of objects, with recent work taking on a greater participatory dimension. Exhibitions and projects include; The Philanthropist’s Stone, a permanent public sculpture on Cuba Street Wellington; Good Morning Vladivostok, (Artetage Museum of Modern Art Vladivostok, Russia 2016); IVAN, (Personal Structures, Palazzo Bembo, La Biennale Venezia 2013) and 100 Bikes Project: Gwangju, (The 9th Gwangju Biennale 2012); 100 Bikes Project: Part 1 (The Dowse Art Museum, Lower Hutt, 2011). Eady is currently based in Dunedin, New Zealand and is Senior Lecturer of Sculpture at the Dunedin School of Art at Otago Polytechnic. His work is represented in public and private collections throughout New Zealand, Australia and Russia. Jasmine Te Hira is an artist currently working in the museum + gallery sector in Tāmaki Makaurau. Jasmine's practice considers the way in which taonga traces skin often embodying indigenous knowledges while traversing institutional critique and spaces. In 2016 Jasmine received a Creative New Zealand Pasifika Internship continuing to work as the Kaiāwhina ki Te Uri for Gottfried Lindauer: The Māori Portraits 2017 exhibition at Auckland Art Gallery Toi o Tāmaki. Jasmine's current work at Tautai Contemporary Pacific Arts Trust sees her establishing a community research archive. Her work is exhibited nationally and internationally with The Beauty of Invisible Grief being the joint major winner of the 2016 Molly Morpeth Canaday 3D Awards. Felicity Milburn is a Curator at Christchurch Art Gallery Te Puna o Waiwhetu, where she works with artists on a wide range of projects, from temporary installations through to large-scale survey exhibitions, and Art Editor for the literary magazine, Takahē. Most recently, Milburn curated exhibitions of historical and contemporary art from the collection and beyond for the Gallery's reopening. She writes regularly about art for local and international publications and is the art editor for the literary magazine, Takahē. This year, Milburn has worked with Billy Apple and Lisa Walker on solo individual projects, and prepared an exhibition on the paintings of Doris Lusk. Lindsay holds a Master of Fine Arts from the University of Auckland, and has acquired numerous awards and notable recognition including the prestigious Kaipara Wallace Arts Trust Award (2015). His first major award was the Francis Erwin Hunt Scholarship (2011), followed by the Walker and Hall, Zinni Douglas Merit Award (2014), Parkin Drawing Prize (2015), and the Molly Morpeth Canaday: Painting and Drawing Award (2016). 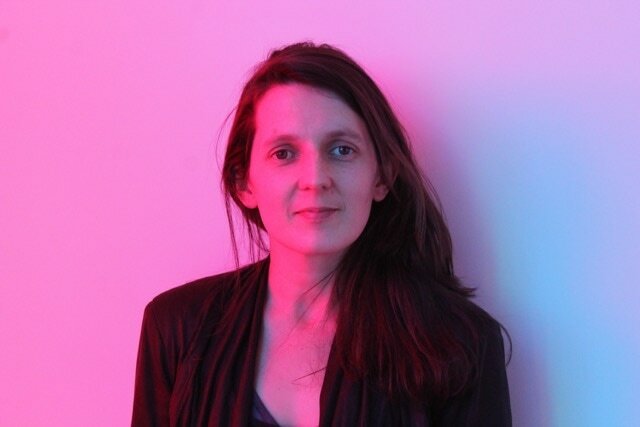 Kim Paton is the newly appointed Director of Objectspace, Auckland. She comes to the position from an academic role as Research Leader at Wintec's School of Media Arts and curator and editor for RAMP. She is a member of the curatorial panel for Urban Dream Brokerage, Wellington and Mesh Sculpture, Hamilton. Kim holds a first class honours degree in Sculpture from Massey University in Wellington and a postgraduate diploma in Management from Waikato University. Clay Economies (Objectspace, 2008); Richard Parker: Master of Craft ( Objectspace, 2010); and Peter Hawkesby (Gus Fisher Gallery, 2011). Matthew Browne is an artist working within the visual arts, specialising in the traditions of painting and sculpture. He studied at Camberwell College of Arts in London, gaining a Bachelor of Arts (Honours) in Painting in 1982. Further studies in New Zealand at Elam School of Fine Arts, University of Auckland, led to a Master of Fine Arts (Honours) in 2000. ​Matthew has exhibited his work widely throughout New Zealand and the UK. His work is represented in private collections in New Zealand, UK, Australia, Denmark, Singapore, Canada and the USA. Public collections include the Parliamentary Collection, Wellington, The Royal Overseas League, London, and The James Wallace Charitable Arts Trust, Auckland. ​Matthew Browne began his teaching career in 1988 when he was invited to teach painting, colour theory and practice, at Chelsea College of Art & Design, London. Dr Victoria Edwards has been involved in art education since the 1970s and is currently a full time practitioner living in Christchurch. She works primarily in new media including drawing and photography. She has engaged in collaborative practice for a number of years. Her art practice explores role-play and social conventions in relation to individual and collective identity. One of her professional highlights was the role of Academic Director, Design and Arts College, Christchurch. More recently she has been a member of the External Reference Group to monotor the Learning Experience Outside The Classroom (LEOTC): a Ministry of Education initiative in collaboration with the Centre of Contemporary Arts, The Art Zone. Edwards works are found in many national and international collections. 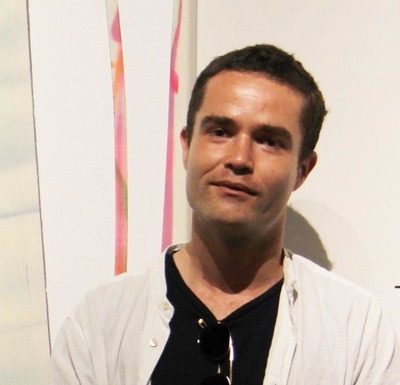 Melvin Day is among New Zealand's leading senior painters. He first attended Elam School of Art as an 11-year-old and following study was drafted into the Army for War Service. In 1963, he was the first New Zealander accepted into the prestigious Courtauld Institute of Art in London. He taught at various London Art Schools until 1968 when he was appointed the Director of the National Art Gallery of New Zealand (now the Museum of New Zealand Te Papa Tongarewa) and returned to New Zealand. In 1978 he was appointed Government Art Historian, a post held until his retirement. Melvin Day's works are found in many national and international public and private collections. In 2003, Day was awarded the CNZM for his services to the arts.